Flag Design: Three sides cut by Fully automatic laser thermal cutting machine. Printed: one side HD digital printing. Material: Made of high quality polyester, fastness and durable. It has reforced edges and double seams for a maximal resistance. Size :150cm x 90cm flag. (2) from the date of receipt of their order. We pledge to respond to your requests as soon as possible (usually within 24 hours). 3' x 5' Banner Flag. Pole not included. Let your team colors boldly fly, inside or outdoors, with this beautiful item ! See our other teams flag shere: other item s. Single sided team graphics show through on opposite side. This large banner flag is 3ft X 5ft (90cm X 150cm). Pole is not included. Proudly sport your team colors in style with this quality-stitched, durable indoor/outdoor flag. These excellent flags feature bold, vibrant team graphics that are set on a background with your team’s color. Up for your consideration is a new CORVETTE C6 flag that consists of 100% polyester. Printed on one side only so the image is reversed on the back. CHECK OUT THE COMPETITION! 1.5 x 5 ft Banner Flag. See our other flag s and banners here: other item s. Single sided logo graphics show through the opposite side. ★ SIZE: This 3x5 FT Flags,90cmx150cm. ★Nothing but the Best for Your. A very strong patch. 3D relief. Aquila Aquilifer Legionary Eagle Airsoft Strikeball Paintball. Excellent quality as you can see. Can be done in MULTICAM colors if you wish. Standard size: 90 x 40 mm / 3.54 x 1.57 in. HRC Banner Flag Honda Racing Car Parts Garage White (18x58 in). This large banner flag is1.5ftX 5 ft (~ 45 cm x150 cm). Pole is not included. Proudly sport your team colors in style with this quality-stitched, durable indoor/outdoor flag. Let your team colors boldly fly, inside or outdoors, with this beautiful item! Large banner flag. Pole not included. It’s durable enough for outside and attractive enough for indoors. 100% Nylon. Banner Flag. See our other flag s and banners here: other item s. Indoor or outdoor use. Marvel 3' x 5' Banner Flag. Pole not included. Let your team colors boldly fly, inside or outdoors, with this beautiful item ! See our other teams flag shere: other item s. Single sided team graphics show through on opposite side. THIS IS AN ORIGINAL c50 Y/O TRADE - ADVERTISING CARD. THE FLAG AND STANDARD - BANNER FOR. coat of arm - banner. THERE IS ADVERTISING TEXT ON THE BACK! FROM THIS SERIES IS JUST AS AN EXAMPLE! The back of the card has text about the country's population. A very strong patch. 3D relief. Made for several thousand cycles of attaching. 3' X 5' (90cm x 150cm) INDOOR/OUTDOOR POLYESTER FLAG. Up for your consideration is a new AUDI S4 BLACK flag that consists of 100% polyester. Printed on one side only so the image is reversed on the back. CHECK OUT THE COMPETITION! Let this beautiful flag banner boldly fly, inside or outdoors! 3' x 5' Flag Banner. Pole not included. See our other teams flag shere: other item s. Single sided team graphics show through on opposite side. Santa Cruz 3' x 5' Banner Flag. Pole not included. Let your team colors boldly fly, inside or outdoors, with this beautiful item ! See our other teams flag shere: other item s. Single sided team graphics show through on opposite side. Let your colors boldly fly, inside or outdoors, with this beautiful item! Large banner flag. It’s durable enough for outside and attractive enough for indoors. 100% nylon featuring vibrant high resolution graphics. Judas Priest 3' x 5' Banner Flag. Pole not included. Let your team colors boldly fly, inside or outdoors, with this beautiful item ! See our other teams flag shere: other item s. Single sided team graphics show through on opposite side. Rolling Stones 3' x 5' Banner Flag. Pole not included. Let your team colors boldly fly, inside or outdoors, with this beautiful item ! See our other teams flag shere: other item s. Single sided team graphics show through on opposite side. Pink Floyd 3' x 5' Banner Flag. Pole not included. Let your team colors boldly fly, inside or outdoors, with this beautiful item ! See our other teams flag shere: other item s. It’s durable enough for outside and attractive enough for indoors. Up for your consideration is a new BMW TRICOLOR ROUNDEL flag that consists of 100% polyester. Printed on one side only so the image is reversed on the back. CHECK OUT THE COMPETITION! USA and everywhere else : 12 USD. Wait for my invoice! Greece : 6 USD, to. The Beatles 3' x 5' Banner Flag. Pole not included. Let your team colors boldly fly, inside or outdoors, with this beautiful item ! See our other teams flag shere: other item s. Single sided team graphics show through on opposite side. Fender 3' x 5' Banner Flag. Pole not included. Let your team colors boldly fly, inside or outdoors, with this beautiful item ! 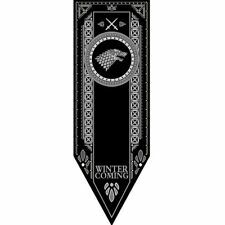 See our other teams flag shere: other item s.
House stark wolf necklace. Stark wolf necklace - Silver 925.